"We believe that ongoing global digital transformation will support increasing demand for IT solutions and services, and that Ciklum is very well positioned to capitalize on this sustainable trend. Founded in 2002 and headquartered in London, Ciklum has one of the largest footprints in Ukraine, great expertise and access to IT talent. We are enthusiastic about the opportunity to support one of the leading companies in the segment, which is run by great management and shareholders," Managing Director, Co-Head of Private Equity at Dragon Capital Andriy Nosok said. 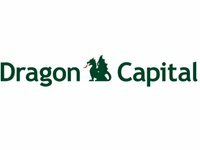 "We are excited to welcome Dragon Capital and Aventures Capital to our shareholder base. This investment will continue to propel Ciklum's rapid growth in delivering cutting edge technologies to clients around the globe," Chief Executive Officer of Ciklum Michael Boustridge said.